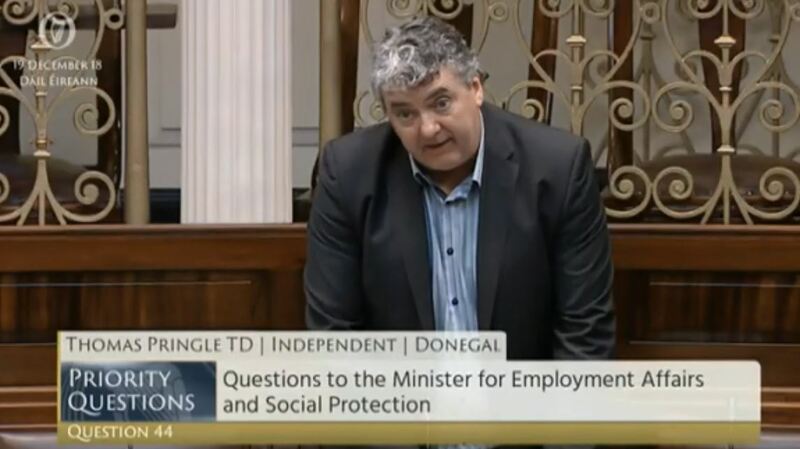 Independent TD for Donegal Thomas Pringle today confronted the Minister for Social Protection Regina Doherty in the Dáil on continued delays affecting Illness Benefit payments. Due to Departmental issues arising from a technological upgrade of their Illness Benefit system, many people reported delays and an inability to contact the Department with queries regarding payments. Deputy Pringle had raised the issue a number of weeks ago in the Dáil but has claimed delays still persist despite the Minister previously committing to resolving the issue. 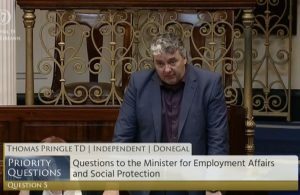 Speaking in the Dáil, Deputy Pringle said “weeks after your Department says it has resolved the issue of Illness Benefit delays I still have a litany of queries in my office from constituents who still haven’t received their full entitled payment. It’s clear Departmental issues have not been resolved yet the Minister fails to admit this is the case. “The Minister has also failed to commit on the record that compensation will be provided to those who were financially affected by the mistakes carried out by her Department. 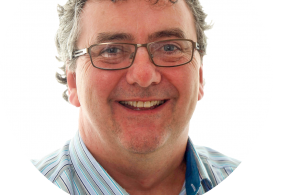 Now before the Dáil breaks out for the holidays, is the time when constituents should be reassured that financial compensation will be coming their way. I know people still dealing with the debt they got into when their payments were delayed for months on end. I know someone who still hasn’t been paid since August. “It’s unbelievable that the Minister claims delays are now at normal levels because they’re not. I don’t know where the Minister is getting her information but I can tell her that from our end and from what other TDs have told me, delays have still not been fully resolved. We could be dealing with more important issues than Departmental delays. I should not have to send every person’s PPS number directly to the Minister for them to receive the payment their entitled to. The system should be working so that we don’t need to do this. “I will continue to call for compensation for individuals affecting by this ongoing fiasco and urge the Minister to consider the points I’ve raised on behalf of many people affected” concludes Pringle. Next Story → Questions: What’s the status of the Mobile Phone and Broadband Taskforce Group? ?